BYOB stands for Bring your Own Bottle. 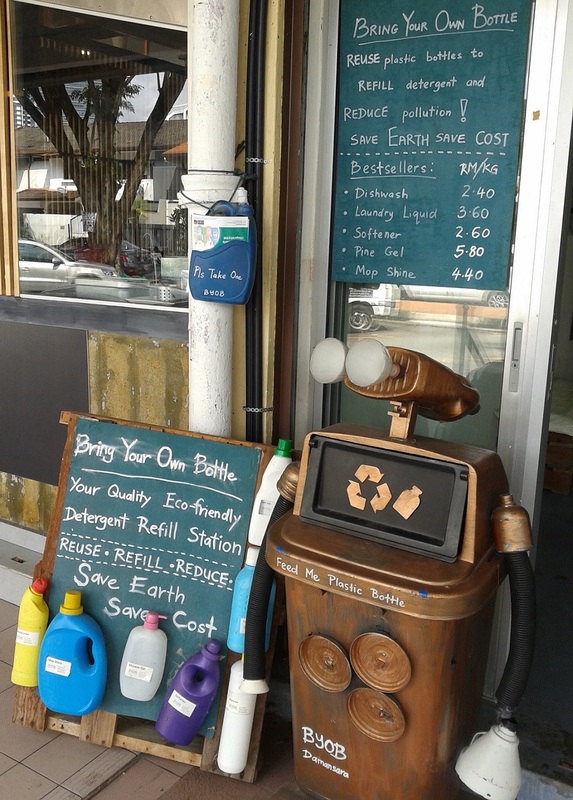 The store sells detergent and cleaning products based on the 3R - Reduce, Reuse and Recycle. 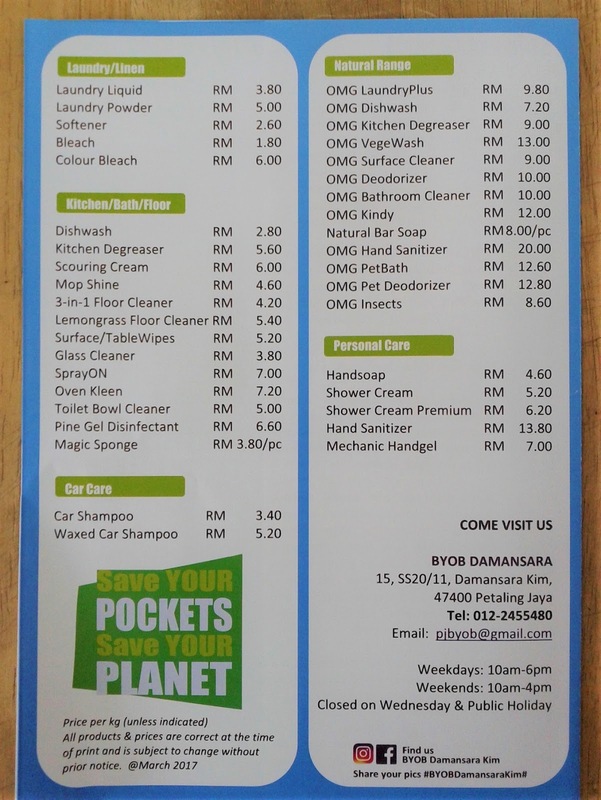 Here is how it works: Customers can bring their own empty bottles to refill any detergent and pay for it minus the cost of the packaging. For those that don't have empty bottles, they will sell the detergent in filled in recycled bottles. Since I discovered the place, I try to buy from here. 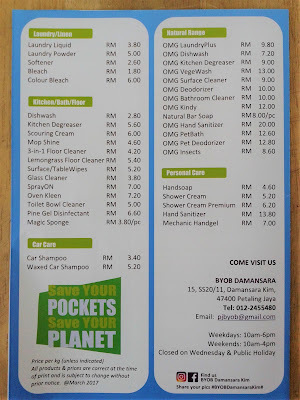 The prices are cheaper and most importantly I can reduce the usage of plastic. * Same row as Euro Deli, KomPassion and Kitchen Table.